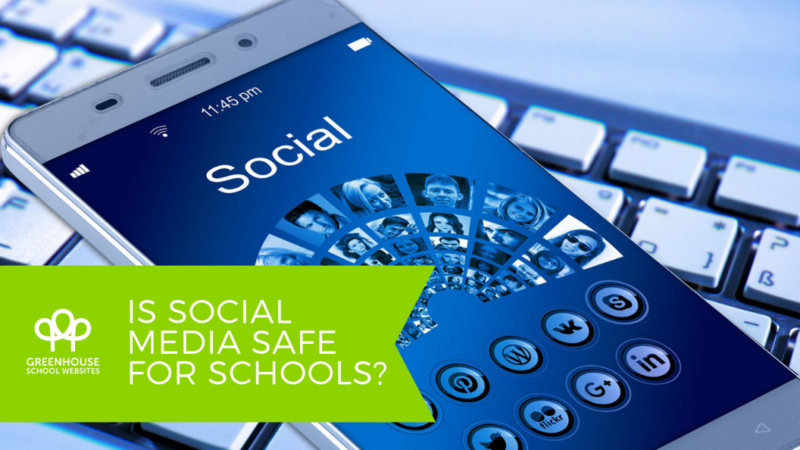 Is Social Media safe for Schools? In 2018 it seems a bit late to have a discussion about social media. It is happening. It has been happening for some time. Most of the parents who have children in your school will be on social media. Most of your staff will be on social media. You are probably on social media. You probably even found this blog via a tweet or a Facebook post. Whether you use Twitter or Facebook or LinkedIn, or any number of others, you will know there are some positives and some negatives to social media use. On the positive side there are plenty of people out there sharing all sorts of useful things – lesson plans, assessment strategies, display ideas, conference details, news articles and all sorts of non-work related jokes and frivolity to boot! There are always people online which can be a real support to the teachers marking books at 10pm, or the parent with a sick child at 3am. Having instant access at your fingertips to a whole wealth of advice and experience can be a wonderful thing. You can also enter all sorts of competitions and find out about special events only advertised via social media. Many people now find all their jobs and information through social media. It has certainly opened up the world for a lot of people. Then the negative side. Not something anyone likes to think about too much. From the so-called ‘trolls’ who like to insult people from the safety of their keyboards just for kicks, to the more serious issues of stalking and online bullying. We cannot pretend social media is all sunshine and roses. And the worst of social media is the worry about young people being vulnerable online. Although the very worst cases of incidents involving children are extremely rare, they do still exist and if that happens to even one child in thousands then that is already one child too many. There are ways, however, to harness the power and positivity of social media for your school and avoid the negatives. Just like we teach children to cross the road, and swim safely despite the risks, we can also teach them how to use social media. A lot of that simply comes down to how we model it and how we can show the positives to them rather than the vacuous and addictive “post for likes” mentality. We can teach them that social media, managed safely, can open up a world of opportunities and connect us to the kind of ideas that can change lives. If you want to post about the school and learning online but avoid having pupil photos online you could simply start by posting pictures of displays and pieces of work. Everyone loves beautiful art by children, and many teachers love to see teaching ideas in action which can be shown simply through sharing photos of whiteboards. Taking pictures which show the backs of pupil heads as they work will also keep them safe online and save the need for GDPR worries or specific consent forms. 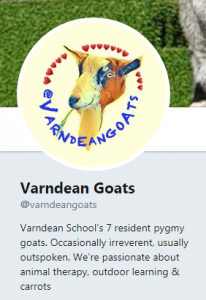 You can also set up a school-linked pseudonym account such as the wonderful Varndean Goats who tell the story of their school from their pen! A pseudonym can be anything – a class teddy bear or a school dog. This works well to keep the focus on the school learning and fun elements too, which naturally swerve towards the positive aspects. Plus who will argue online with a teddy bear or a goat?! Another great way to own your school accounts in a way which promotes sunshine and light is to have a specific focus from the headteacher which simply focuses on praising efforts of pupils and staff. Again you may choose not to include pupil names or photos, or you may choose to have one or the other after getting consent from parents/guardians. You could just post once a day or once a week with messages such as “Well done to Class 4 who did us proud on their school trip today to the British Museum. They behaved impeccably and learnt all about Ancient Egypt” – not much to argue with there! Social Media can also be a really easy way to share news and information for parents, whilst also promoting the school in the community and to prospective parents and staff. Your accounts can easily be linked into your school website to make them easy to find so that parents can follow the posts. As most parents will have access to social media it stops you needing to train them on a particular learning platform to get messages. There are, of course, things to be aware of with social media, but there are lots of fantastic examples of schools making the most of it for the benefit of their staff and pupils. 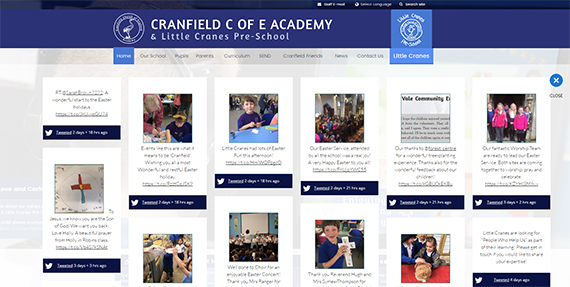 Check out our Twitter and Facebook to see some schools who have linked great social media accounts to their Greenhouse School Website. And don’t forget you can tweet new content directly from your Greenhouse CMS! Previous story School VLEs – Have the days of the walled garden ended?